A few years ago, Tejie was all too familiar with pain … but today, rejection is no longer part of her story. She was familiar with all its forms — physical agony, emotional sorrow, spiritual anguish, and social torment. Her suffering centered on an injury she sustained during childbirth — an obstetric fistula — that would brand her as an outcast to her friends, family, and community. In Ethiopia, far too many women suffer the same fate. With limited access to medical facilities, mothers in rural areas are especially at risk of developing complications during childbirth. Cultural beliefs and home remedies often take the place of professional medical care. Women are often married so young that their bodies are not developed enough to safely carry a baby to term. That was Tejie’s story. She was only 10 years old when she was married, and in just a few years she became pregnant for the first time. After six agonizing days of labor without medical help, she eventually lost the baby — and developed a fistula. The injury left Tejie completely incontinent and created a host of other demoralizing health problems. Instead of treating her with compassion and concern, her family and friends turned away. For five years, Tejie endured the physical pain and suffering from the fistula, in addition to the pain of being isolated from her community and feeling abandoned by God. Then finally, after years of believing there was no cure, she was able to get corrective surgery. It was at the hospital that she learned about the Safe Motherhood program. She joined immediately. The goal of the Safe Motherhood program is simple: To raise up women who are healed, restored, and share the desire to reach mothers in their villages who are still waiting for help. The voice and wisdom of a woman who has experienced fistula is incredibly powerful. After completing the program, women have the support, encouragement, and community of other survivors. They also leave with a micro-loan, which gives them the opportunity to generate their own income. 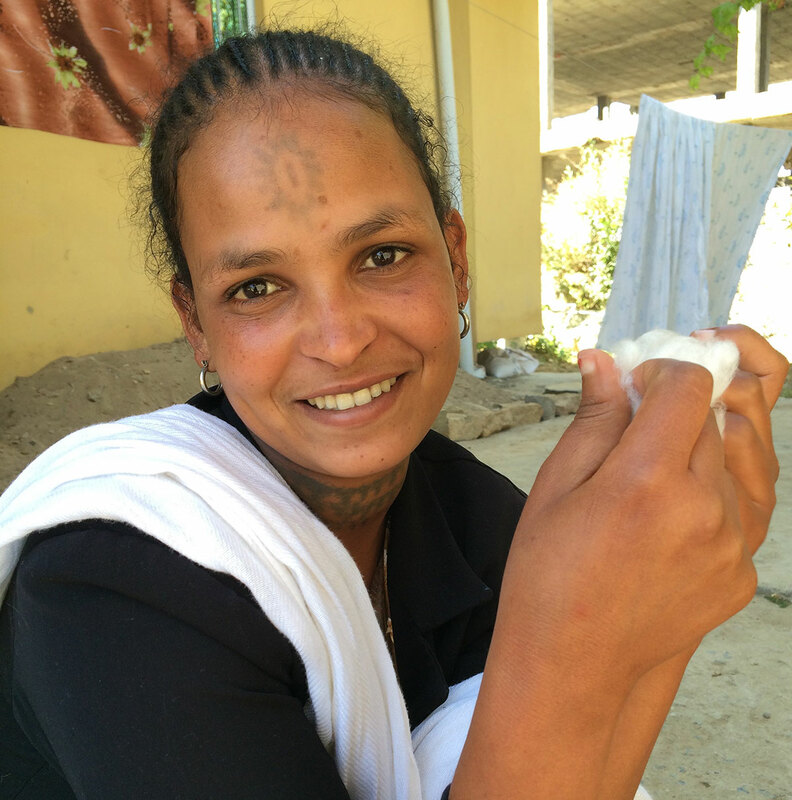 For the first time since developing the fistula, they have dignity and purpose. Today, Tejie supports herself by selling vegetables in a local market. She also purchased three goats using her micro-loan, and her flock has grown to 10 goats. She has educated 11 women, and eight of them safely delivered babies at a professional health facility. Empowered with the tools to succeed — healed bodies, emotional support, spiritual direction, and a livelihood — women like Tejie now know their lives have meaning. Now her story is filled with joy and eternal hope. You can help another woman like Tejie today.